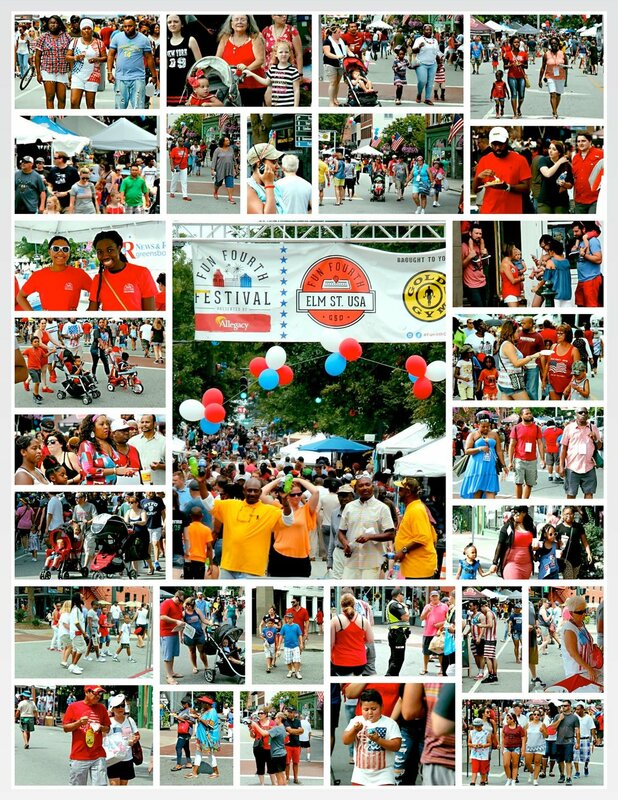 I volunteered at one of the information booths for the Fun Fourth Festival in downtown Greensboro this year. On the way out the door I grabbed the camera thinking it’d be fun to snap a few pictures of the festivities that day. I took a couple pics of my fellow volunteers and then turned the camera on the crowd constantly moving past like waves on a sea of red, white and blue. Nobody was more surprised than I to find there were hundreds of pictures to download. 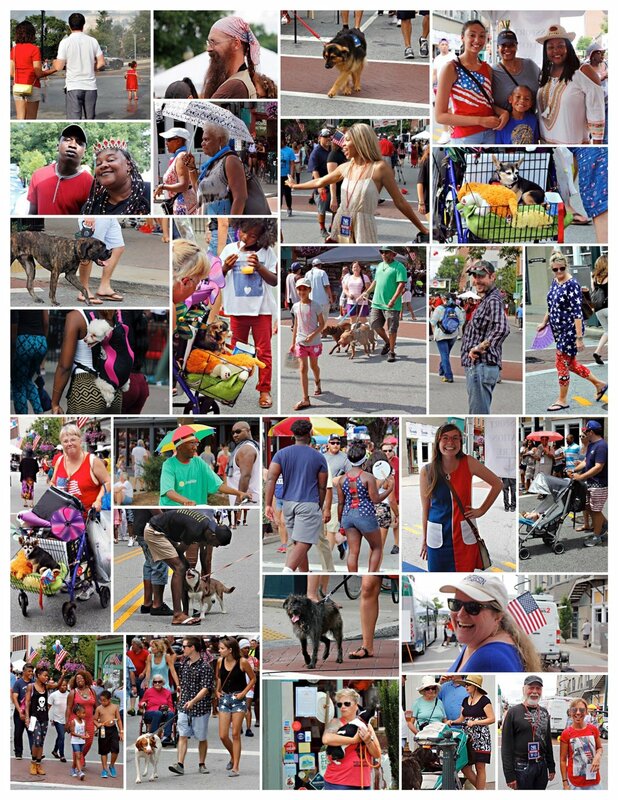 The people just kept coming— the interesting, the beautiful, the endearing, the fabulous, the adorably cute… the dogs. (Oh yes, the dogs! Dogs are people, too, you know.) And what emerged from the myriad of photos, the general picture that formed from them all, was a colorful cacophony of diverse cultures shoulder to shoulder, walking, talking, laughing, eating, sweating, cajoling, people-watching, seeking, finding, following, striding, limping, strolling, lagging. 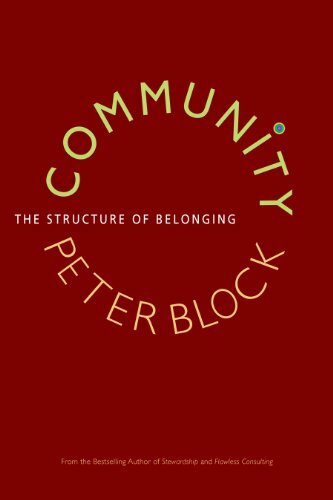 An utterly intriguing Joyful Community. So, what follows are some photo collages from that day. Hope you enjoy them. And if you see yourself, your family or friends in any of these pictures let us know in the Comments Section below and we’ll email your picture to you. The first thing I noticed was all the ways the Stars and Stripes showed up that day. There were the fashion-forward, the flamboyant, the subtle, the serious, and the sold-out patriots. Then there were the t-shirts with a message and the hats making a statement. Of course most folks came in families or with friends. And a few loners seemed to relish being a part of the crowd. Adorable children abounded and sweet dogs bathed in the affection. But most of all these pictures are a reflection of our Joyful Community. 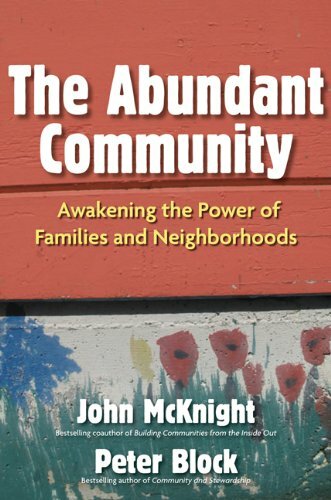 It is a picture of individualistic, diverse, dissimilar, sometimes lonely, needy people coming together for a few hours on a hot summer’s day, rubbing shoulders, knocking elbows, sharing space, putting up with each other’s sweat and stumbling—even in some small way, loving each other. And that's where God shows up. The Divine inhabiting the commonplace. So thankful to be where we are and enjoying all the reflections of life. Older PostWhat is the MOST Important Thing?